Online forms offer limited brand personalisation. Some forms will allow you to choose between a few primary / secondary colours and if you are lucky, allow you to upload a background picture. With Award Force, you have a configurable interface that helps your brand shine and gives your sponsors plenty of visibility. If you have multiple categories, criteria or languages to accommodate, using an online form to accept submissions is going to be a nightmare. Award Force offers sophisticated season, category and fields functionality to configure as you need. 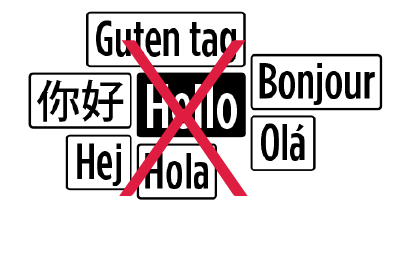 We also offer support for multi-language programs with more than 15 languages to choose from. With online forms, there is little-to-no protection unknown rogue users or spam bots. Award Force employs sophisticated security techniques to ensure spam bots and bad actors are kept at bay. 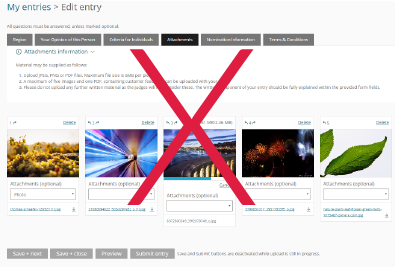 With an online form, entrants need to complete their submission in one sitting, which can be tough with busy schedules. Using Award Force, your paricipants can edit their entry as many times as they like. Even after they have submitted their entry. People need time to prepare, craft and refine their award winning submission. Unless they can work on their submission over several sessions, entrants will procrastinate, and perhaps forget about entering entirely. 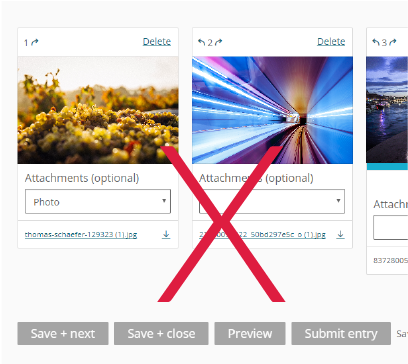 Only some online form builders allow for file upload, with basic functionality. You may be limited by file type, file size and number of files that can be uploaded. 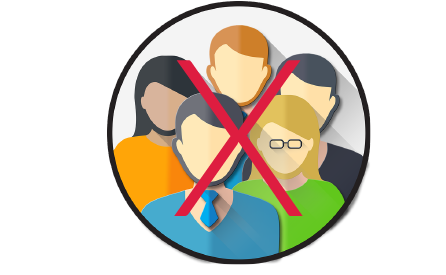 Online form builders that allow you to upload files advise that you only allow file uploads from people you trust! Because unknown users could send malicious software, trojans or viruses— wreaking havoc for your recognition program. Needless to say, online forms with attachment capabilities are exceptionally dangerous. and NOT advisable for recognition programs. Award Force solves all this with unlimited and sophisticated upload handling, automatic virus scanning and impressive display of file uploads for online judging. submissions and find the one worth using.